A lovely and colourful chicken meal,thanks! Great one to take to work for a healthy lunch ! My children I’m sure would love to try this recipe as they really look forward to taste good new and exciting dishes. They like chicken, beans and capsicum, so I think this will be a hit in our home. Love your photo and the recipe looks so easy to make. 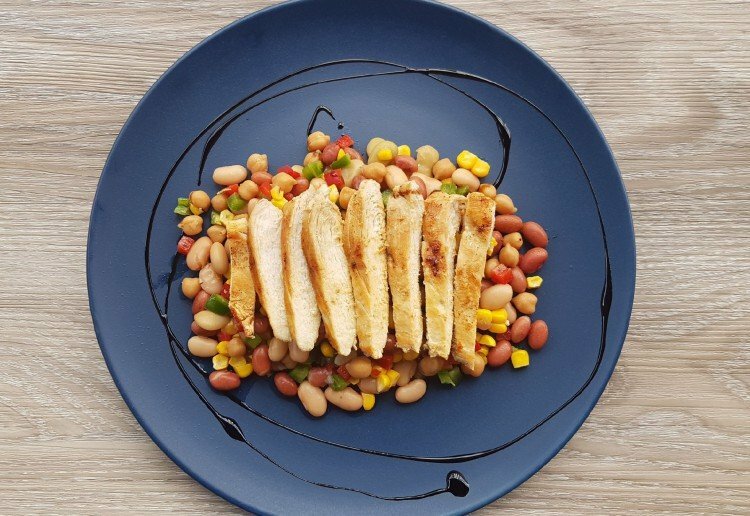 A delicious looking chicken dish which I would add a little dressing too. Beautiful presentation of our chicken dish – would look good presented to guests. Looks amazing! and so healthy too! I love the colours of your dish. And the chicken looks cooked to perfection!